Props by Besler & Sons, $90-175 (U.S.) at Moca (www.mocastore.com). Often reserved for large surfaces in urban spaces such as subway stations and public parks, terrazzo is now seeping into residential interiors. It's a welcome sight after years of intense focus on marble, and a more budget-friendly alternative, too. Despite its glamorous associations with old-world architecture, terrazzo (often called "poor man's marble") was invented in 15th-century Venice as a low-cost flooring option, created by mixing scraps of marble with clay, and sealing the mixture with goat's milk to bring out the stone's vibrancy. The recipe eventually evolved to include cement and resin, and now often adds granite, porcelain and glass to the mixture for a kaleidoscopic look. Terrazzo has been popping up in the hippest of spots: as flooring at the Wes Anderson-designed Bar Luce in Milan, for example, and as multiple surfaces at Maison Kitsuné's new Paris flagship, for which designer Max Lamb created a splattered paint print that's been spun off into a capsule collection of clothing. It's also spreading to furniture. After a visit to a small Italian terrazzo factory, Danish designer Simon Legald fell in love with its look. That newfound admiration manifested itself in the Terra series produced by Normann Copenhagen. 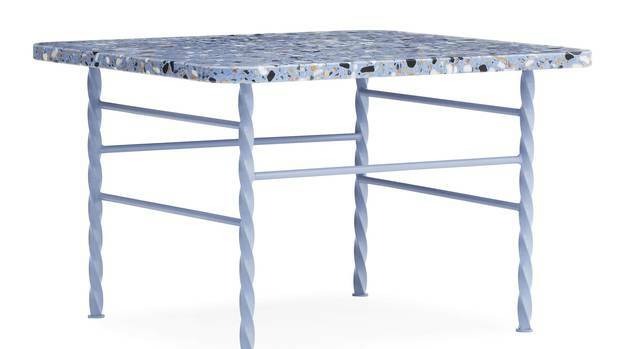 The slender terrazzo tabletops – available in grey, beige, as well as more colourful blue and green – are supported by matching twisted steel legs, adding a contemporary spin to the classic shape. Inspired by Stockholm subway platforms, Swedish designer Daniel Enoksson swapped ubiquitous concrete bases for terrazzo ones in simple grey and anthracite steel bistro tables for the Danish brand Hay. And the Primo Terrazzo Tavolini collection from U.K.-based Another Brand utilizes the sculptural nature of the material for stoic column-like tables in three different heights and diameters. Terra Tables by Normann Copenhagen, starting at $630 at The Modern Shop (www.themodernshop.com). Independent designers have also succumbed to terrazzo's charms. Los Angeles-based Carly Jo Morgan crafts sculptural black-and-white planters and chairs in the material, as well as elegant lights with brass hardware sitting on pink terrazzo bases. Fellow Angelenos Erin and Ian Besler, the husband-and-wife team behind architecture studio Besler & Sons, also explore the playful nature of the material with their Props collection of decorative objects that can be used as bookends, doorstops, paperweights and serving platters. The trend extends well beyond solid pieces into faux fabrics and wall treatments. Danish company Ferm Living added a rainbow of terrazzo-like textiles to its cushion collection, as well as rose and blue kids' beanbags and two terrazzo wallpapers. Paris-based Eno Studio's Terrazzo collection includes dark blue, pink and white wall options, while London-based Murals Wallpaper has multiple scale choices, from tiny coloured slivers to blown-up close-ups of graphic shards. Those unsure about embracing speckles of any scale can take advantage of terrazzo stationary, also available from Normann Copenhagen and Hay. Technically speaking, these contemporary examples are centuries away from Michelangelo's masterful terrazzo work at St. Peter's Basilica in Rome, but they are no less inspiring. Stay collection by Nika Zupanc for Sé, starting at $1,935 at South Hill Home (www.southhillhome.com). After a few decades of the mid-century modernist craze, decor is shifting to more opulent times: the glamorous pre- and post-war eras. Think plush velvets, gilded hardware, lacquered surfaces and fresh takes on curvaceous shapes. A fine example of this nostalgic grandeur is Nika Zupanc's Stay seating collection for Sé. The Slovenian designer combined the dazzling aesthetic of the 1950s with elements of the gold-gilded art deco period. Available in a throwback pastel palette of fabric and leather, Zupanc's designs pay homage to the past, even as the whimsical nature of the shapes very much evoke the present. Singita wallpaper by Cole & Son, price upon request at Finest Wall paper (www.finestwallpaper.com). With the hue Greenery hailed by Pantone as the 2017 colour of the year, it's no surprise that lush flora and exotic fauna are having a moment in interiors. The collaboration between Cole & Son and Ardmore Ceramic Art couldn't come at a better time – spring is when many are looking to add some excitement to their bare walls. The English heritage wallpaper brand and the South African ceramics maker are a match made in tropical heaven, particularly with the Singita print that takes its name from the Shangaan word for "place of miracles." 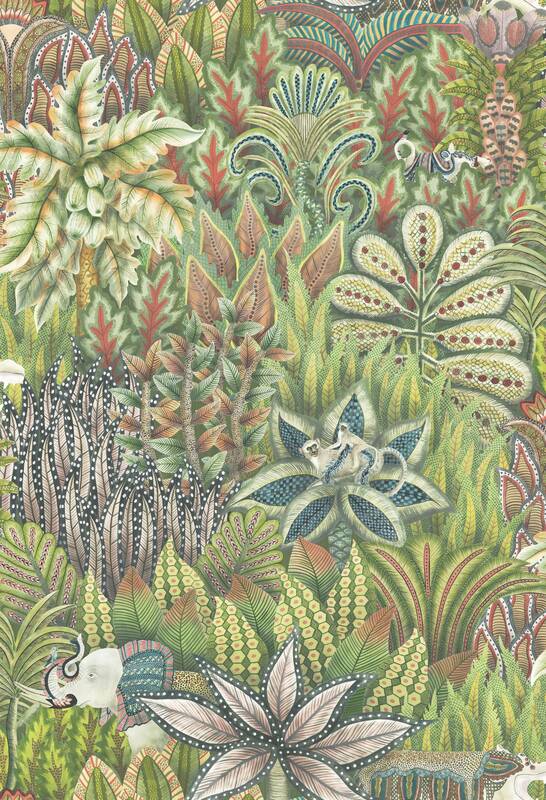 The tapestry-like paper combines decorative plant motifs that adorn Ardmore dishes and bowls with artist Alex Sibande's animals peeking through the foliage. Su stool by Nendo for Emeco, $675 at Klaus (www.klausn.com). Despite being an extremely eco-friendly material, cork hasn't played a significant part in interior design until very recently. All-cork interiors such as the Biju Bubble Tea Room in London, designed by Gundry and Ducker, are making a strong argument for the pliable material (much more so than Birkenstock's recently launched home line). On a smaller scale, the cork addition to Emeco's Su stool range for Nendo, a Tokyo-based studio by Toronto-born Oki Sato, is the best reason to get behind the wondrous bark. Jassa lounger, $149 at Ikea (www.ikea.ca). Even Ikea's designers are stepping away from contemporary materials and reaching for woods such as rattan in pursuit of home goods with a handcrafted look. Lead by Dutch designer Piet Hein Eek, the Jassa collection pays homage to Indonesian and South East Asian design traditions, utilizing natural, sustainable materials including bamboo, water hyacinth and sea grass to their fullest potential. 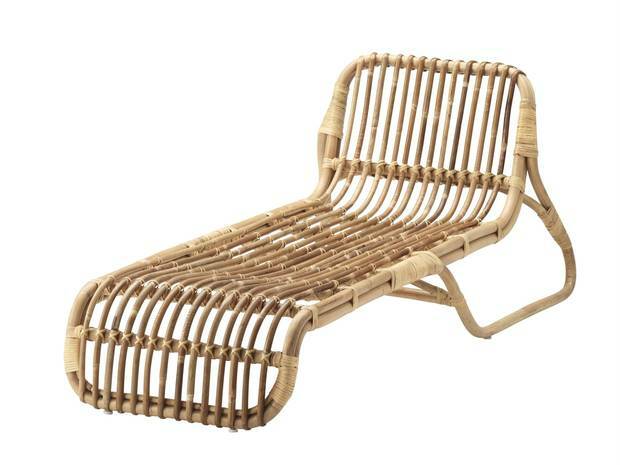 The Jassa lounger couples the simplicity of bamboo and twine construction with Ikea's signature minimalism. Editor’s note: An earlier digital version of this story incorrectly stated the location of Biju Bubble Tea Room was in New York City, however, it is located in London. This version has been corrected.